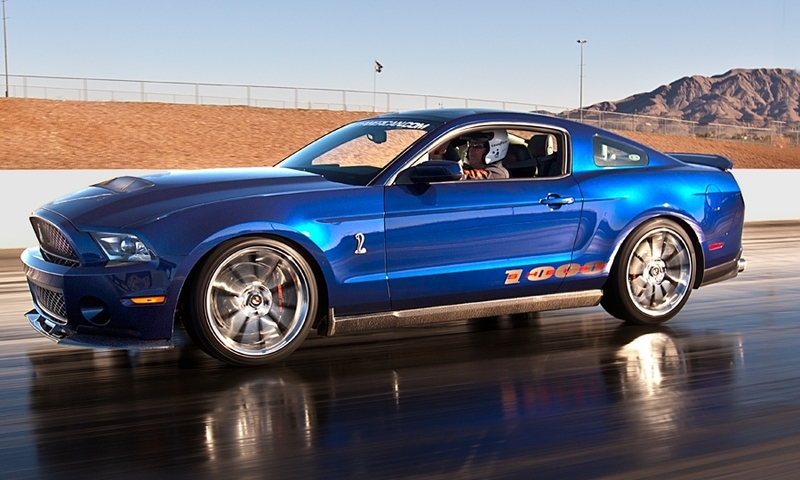 Based on the Ford Mustang Shelby GT500, the street version of the Shelby 1000 will crank out 950 hp. 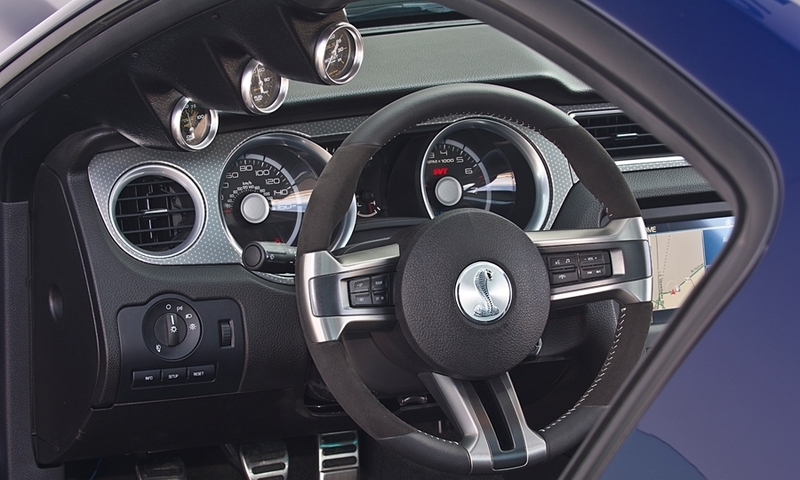 By comparison, the production 2013 Mustang Shelby GT500 is rated at 650 hp. Want more? 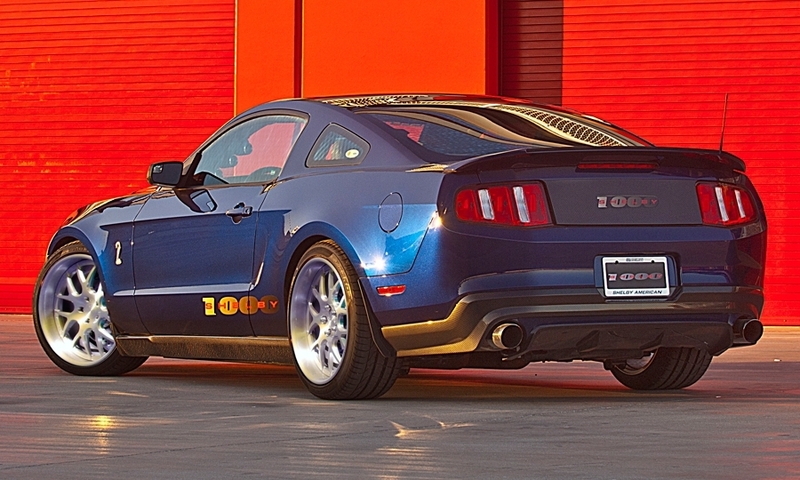 Shelby American says a non-street-legal version of the car, the Shelby 1000 S/C, will make more than 1,100 hp. 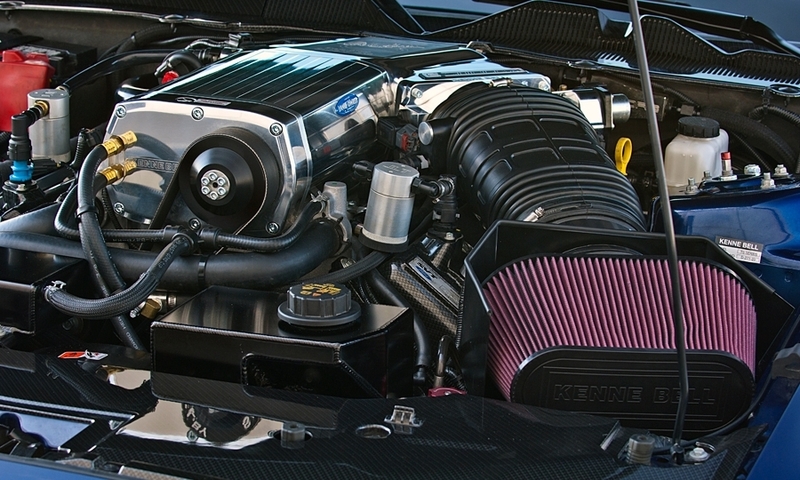 Both versions of the Shelby 1000 run a supercharged Ford 5.4-liter V8. The street version uses a Kenne Bell unit, while the track car is fitted with a Whipple blower.